Heat nonstick wok or 12-inch nonstick skillet over medium-high heat. Add shrimp; sprinkle with salt and pepper. Cook and stir 1 minute. 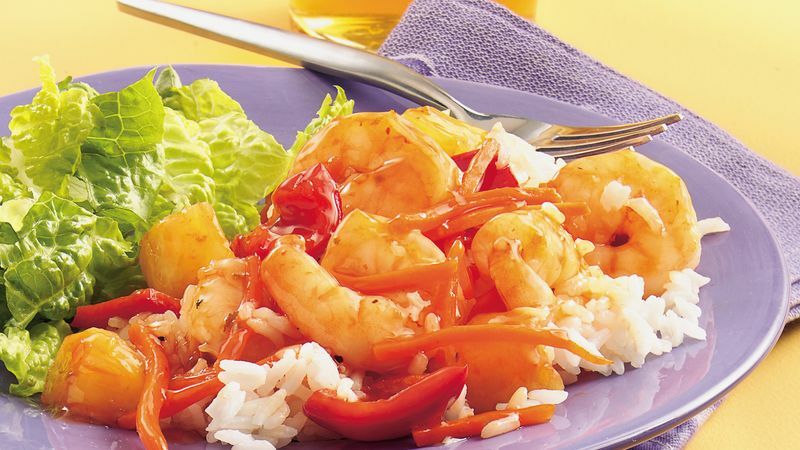 Add carrots and bell pepper; cook and stir 2 to 3 minutes or until shrimp turn pink and opaque, and vegetables are crisp-tender. Add pineapple chunks and sweet-and-sour sauce; cook and stir 2 to 3 minutes longer or until pineapple is thoroughly heated. If desired, serve over hot cooked rice. Matchstick-cut carrots can be found already cut in the produce department of the supermarket.